Not What We Expected The front desk staff was not friendly when we tried to pre-check in. We were aware we couldn't get our room until 3pm, but we had plans and wanted to secure it. The hotel was entertaining a basketball team and struggled to keep up with the food. Overall, we were disappointed for the price. 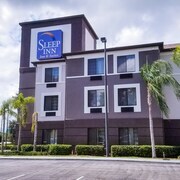 Short Stay Trip Overall, I enjoyed my stay.The bed was nice, comfortable, and the room itself exceeded my expectations for the price. The desk staff was wonderful. Clean, help very friendly and helpful. Very satisfied! very nice Attractive, large room with free internet. Expanded breakfast with waffles, boiled eggs and yogurt and fruit. Pretty pool area. IHOP in parking lot, close to mall. What's not to like ? 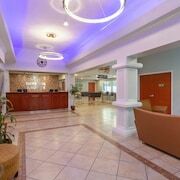 Baseball Trip Location was great and a good value for the money, but it did not have my reservation through [...] which was a concern at check in! To travel is to be alive, and wise cheapsters understand you don't require wads of cash to do it. So why not make Lakeland your next magnificent adventure? You'll find it approximately 220 miles southeast of Tallahassee, the state capital of Florida, and around 9 miles west of Auburndale. This part of Lakeland - Winter Haven is home to around 97,000 people, some of whom will surely be willing to offer you some invaluable travel tips. Hotels and airfares booked — check! Bags packed — check! Itinerary chock full of free experiences in or near Lakeland — you know it! Our list below will make sure that your getaway is kind on your bank balance. Ask the helpful staff at the Polk Museum of Art about special events and guided tours. It's an excellent place to exercise your brain or just relax in the tranquil surrounds. And don't forget — there's no entry fee. You don't need to wander far to experience a slice of nature. Lake Mirror is a pleasant day out if you're looking to be beside the water. If the concrete jungle is getting tiring, why not spend an afternoon unwinding with Mother Nature? At Common Ground Park, Auburndale City Park, Saddle Creek County Park and Munn Park, you can ruminate in delightful surrounds without spending any cash. Don't allow any fears of sleeping in a cramped, budget motel stop you from going on your much-needed adventure. When you book with CheapTickets, you won't be asked to part with too much money or sacrifice quality. Just because you're a cheap traveler doesn't mean you'll be short of choice. You can choose from 500 partner airlines and 500,000 properties around the world. Want to know the best part? If you combine your bookings, you have the chance to save up to $481. How do we guarantee you'll go home with the best price? With our Price Guarantee. Found your package for a lower price elsewhere within 48 hours of making your booking? It's all good. We'll meet the price and refund you the difference. Book your flight, earn CheapCash and use it on your next eligible CheapTickets hotel reservation. Our rewards program is as straightforward as that. So, what are you waiting around for? So, how do you do this? Just log in or sign up for free, join CheapCash, and you'll gain savings on eligible bookings. You'll also be the first to know about thrifty perks and bonus offers! Okay, are you looking for an inexpensive way of seeing the sights of Lakeland? Why not inquire about hiring a car? Visiting the gas station every so often is sure to be easier on the hip-pocket than splashing out on taxis! If you're arriving by air, you can simply pick up your rental vehicle from Lakeland Linder Regional Airport. Enterprise is the vendor to look for. Renting a car right from the center of the city is a convenient option if you're staying nearby. Get in touch with Budget, which you can find at 120 West Memorial Blvd. You can also try Avis at 205 West Memorial Boulevard. 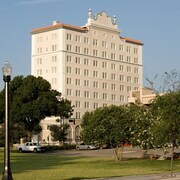 You won't have any dramas grabbing one of the 29 hotels in Lakeland. That said, don't leave it too long! Your next budget-friendly vacation is right there waiting for you! Unsure which hotel to book? Let us simplify things! 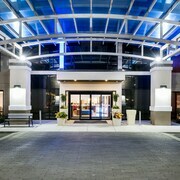 Our favorite options are the Hampton Inn & Suites Lakeland-South Polk Parkway and Residence Inn by Marriott Lakeland.